Moscow regrets statements by new UK Prime Minister Theresa May about an alleged threat coming from Russia and hopes that objective assessment will prevail in the future, Kremlin spokesman Dmitry Peskov told journalists on July 19. "The Kremlin regrets these statements, it looks like Mrs. [UK] Prime Minister has not yet gotten the hang of things in international affairs," said Peskov. "Russia is one of the main guarantors of international stability and nuclear security, strategic security - this is an absolutely undeniable fact," he said, adding that Moscow "very actively participates" in nuclear non-proliferation processes. Peskov added that accusations against Russia in the sphere of nuclear security "are not correct and we hope that Mrs. Prime Minister will soon adopt not a subjective, but an objective point of view on our country." "Russia has always stood for maintaining kind, friendly relations, for cooperation in both trade and economic and in sensitive spheres, which is necessary for all of us - in the fight against terrorism first of all. Of course, we also stand for improving relations with Great Britain," he concluded. UK Prime Minister Theresa May said on July 18 that the country should modernize its nuclear weapons arsenal to counter existing threats, including from Russia. "Our deterrent is therefore the ultimate guarantee of our security, keeping any nuclear adversary unsure all the time of how we might respond," May said. "Just as we renew our conventional weapons, ships and planes, just as we keep improving our counter-terrorist capabilities, so we must replace our nuclear boats," she added. On July 13 Russian President Vladimir Putin congratulated May on her appointment as new UK Prime Minister. He confirmed Kremlin’s intention to hold constructive dialogue and work together on issues in bilateral relations. Putin noted that preserving and increasing the considerable potential of Russian-British cooperation in different spheres accumulated over a long time, is in the core interests of the peoples of the two countries. 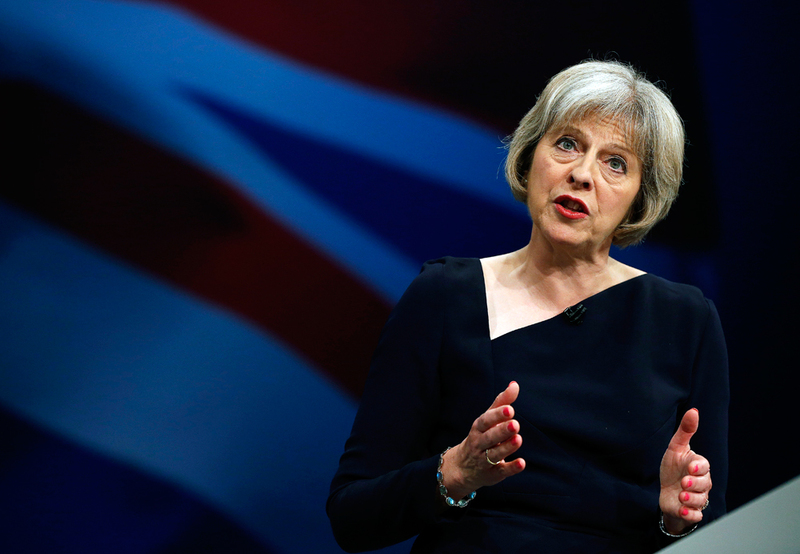 Read more: What does new UK leader Theresa May mean for Moscow?